A few weeks ago, on this very site, I revealed that I wasn’t a fan of automatics. The car I reviewed in that article, the Volvo XC90 failed to convert me. But after a week with the Ford Fusion, I’m starting to think I could live without a clutch pedal. 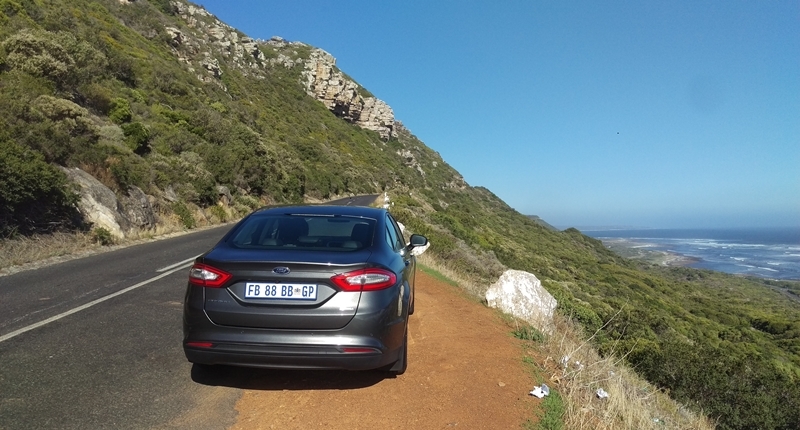 Of course there’s plenty of other stuff to say about the latest Fusion, a car which was only launched in South Africa in 2015 — some three years after it made its debut at the North American International Auto Show (NAIAS) in 2012. And we’ll get to all the stuff — especially the tech, of which there is plenty — but I don’t want to write off my conversion too lightly. Some might say it’s because I’m a grumpy pensioner trapped in the body of a 20-something, but I think there’s more to it than that. It’s also about context. In the XC90, there were more than a few times where I felt like I could’ve used the control of a manual gearbox. In the Fusion, by comparison, I was happy to let the car take control. 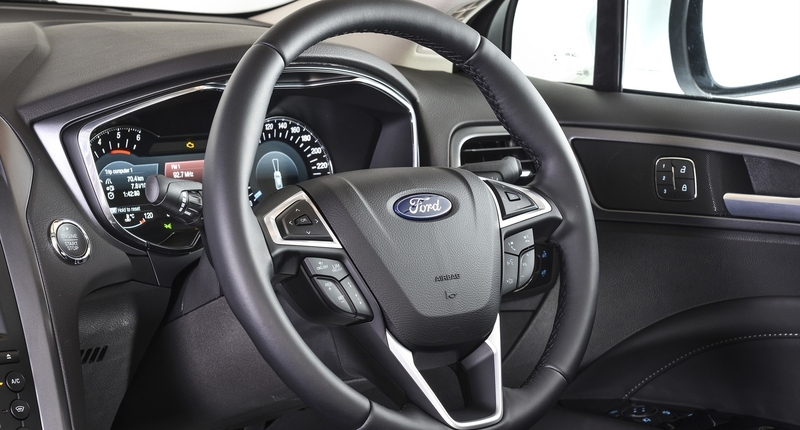 If I hadn’t, I would’ve constantly used the flappy-paddle shifters the Fusion comes with. Instead, I only found myself using them when I wanted to have a little fun on the open road. It underlines how a car can’t just be one thing — it has to be a total package. And with that, we can start looking at the rest of the Fusion package. A replacement for the old Mondeo, the Fusion isn’t exactly short on competitors, with the Japanese and South Koreans producing cars that are as good-looking and well-built as the more traditional players, including Ford and the all-powerful German triumvirate. 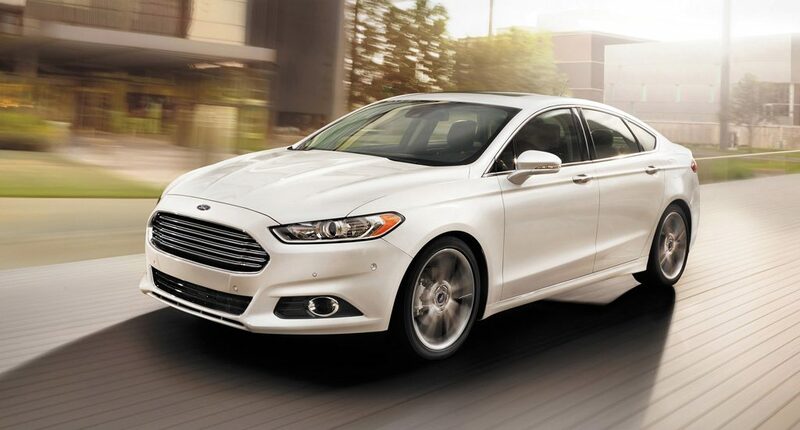 Of all the cars it competes against, the Fusion is among the best-looking. Its clean lines complement its muscular curves and the grille, reminiscent of those found on Aston Martins, is a reminder that this isn’t your average mid-size family sedan. That said, all those elements could be that much stronger with a bolder choice of colours than the palette offered by Ford. I understand that Ford chooses its colours very carefully, but surely there should be at least one option for people who want their not-so-ordinary car to look a little less, well, ordinary? The same could be said of the interior, which is stylish but could use some reminders of what’s possible: maybe some red stitching on the seats. That said, the ambient lighting does a lot to make up for that, as does the actual feel of the front two seats. 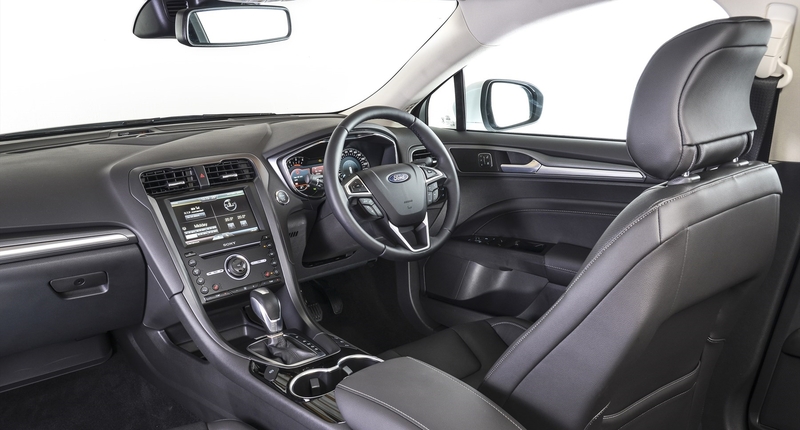 In fact, it’s pretty clear that Ford’s put plenty of thought into the Fusion’s interior. For instance, the fact that the driver’s seat automatically moves to make entering and exiting the car easier is something I’d never thought about before. But when you think about it, it’s something which makes a lot of sense. 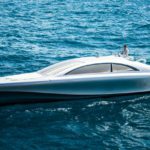 The ability for the driver and passenger to have two different temperatures — a feature which is hardly confined to the Fusion — is also great, especially if you have a partner like mine who insists on a continuous blast of cool air. Heated seats, plenty of storage bins, and an easy-to-use interior mean that the Fusion’s interior is a nice place to be, whether you’re driving or sitting around waiting for someone. Once you’ve settled into your seat, you might want to connect your phone, either because you’re interested in safety, or because you’ve got a sick jam that you want to listen to. 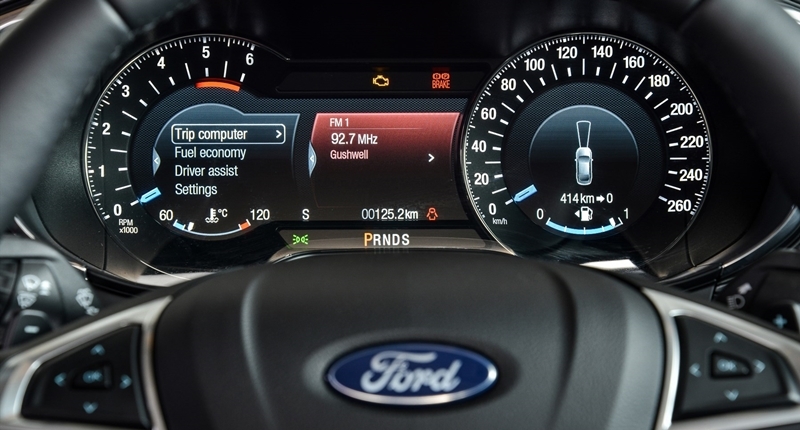 And thanks to Ford’s Sync2.0 infotainment system, you’ll be able to do so pretty easily. Actually, that’s underselling the system a bit. In all honesty, I’ve never had an easier time pairing a phone and car than I have in the Fusion. And once you’ve paired your phone to the fusion, accessing the functions you need is pretty simple. When you’re standing still, the UI on the central touch screen is intuitive and easy to use, with the available options kept reasonably simple. And when you’re on the move, the voice control actually works, which is a refreshing change from pretty much every other such system. Other smart pieces of tech include collision avoidance systems, which emphatically warn you before you get dangerously close to the car in front, a properly functional park-assist system, and lane departure functionality. In some cars, these pieces of technology can feel overbearing, but in the Fusion they’re complementary and make driving significantly easier than it would otherwise be. And that’s good, because they could easily have ruined what is otherwise an excellent driving experience. In traffic, the Fusion requires very little of you, meaning that things are a lot less stressful than they usually are. It also feels easy to navigate on congested streets despite the fact that it’s actually pretty wide and long enough not to fit in my, admittedly short, driveway. And when you’re on the open road, it’s responsive enough to put a smile on your face, especially when you mash the accelerator peddle and let the clever little EcoBoost engine do its thing. One minor gripe I have is that things can feel a little bit “floaty” when you’re going round a series of tight corners. Even as the driver, with the aircon blowing straight onto my face, I felt a little nauseous after tackling a tight coastal road. That said, I am susceptible to motion sickness, so it’s hard to gauge just how much of a problem that would be for the kind of person who can do a sunset cruise without feeling like their stomach is making a bid to escape through their eyeballs. While all of the above doesn’t add up to a car that will leave you breathless, it is at least clear that the Fusion knows what it wants to be. It’s also clear that it’s more than capable of competing against the best Germany, Japan, and Korea have to offer.